Did you notice that your sins are not blotted out until you repent and convert, proving yourself to Yahweh? Mosheh said to the people; Do not fear, for Yahweh has come to test and prove you, so that the reverence for Yahweh will be with you, so that you do not commit sin. The phrase “Kingdom of Yahweh” means Family or House of Yahweh. 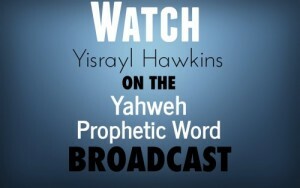 Why seek The Kingdom (Family/House) of Yahweh? Because many false religions have been established throughout the world, but none of them teaches you to practice Yahweh’s Eternal Laws. Repent and be converted at the Place Yahweh chooses to Place His Name.